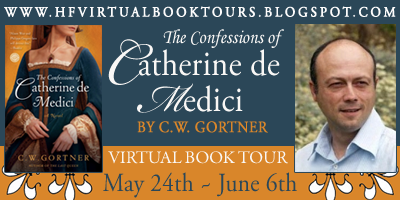 Daaaah dah dah dah....it's time to announce the winner of The Confessions of Catherine de Medici by C.W. Gortner! CONGRATULATIONS Denise, you are in for a fantastic read!! An email has been sent your way. Thanks to all who entered and helped spread the word and a special thanks to C.W. Gortner for providing the giveaway copy!